When you call A Briggs, you’ll be answered by a real person with real passport and visa expertise ready to serve you. At A Briggs we like our staff to be happy and comfortable while they negotiate the stressful red tape involved in securing your passport or visa as quickly as possible. It's the least we can do and it’s working. It’s no coincidence that in 2007 A Briggs was selected “Best Place to Work in Greater Washington, DC” by the Washington Business Journal. Our headquarters are in downtown Washington, D.C., just minutes from all embassies and the passport agency. We also have client service centers in Boston, Charlotte, Cincinnati, Houston, Los Angeles, New York, and Seattle as well as processing centers throughout the country. A Briggs is also an active member of ASTA-the American Society of Travel Agents, the National Business Travel Association, and the U.S. Tour Operations Association. 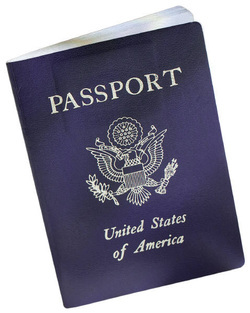 If you need help obtaining a new or replacement passport or a travel visa, call one of our friendly customer representatives toll-free on 202-360-4347 or order your passport securely online.